Who doesn’t love a special treat for Valentine’s Day, especially when it is gifted in a pretty handmade box? 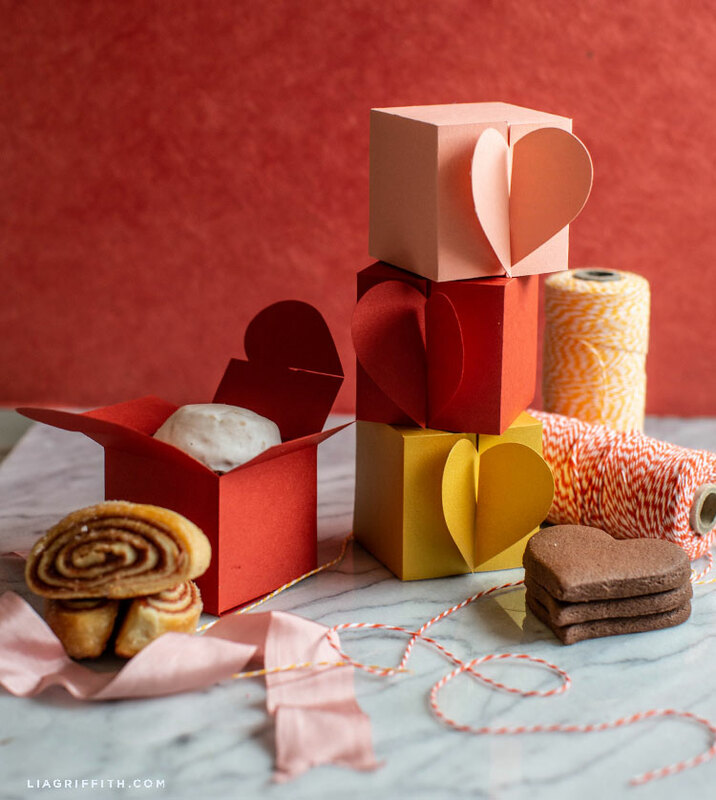 Our paper heart treat box adds such a sweet touch to your homemade cookies or store-bought chocolates. They also make a great wedding favor box! 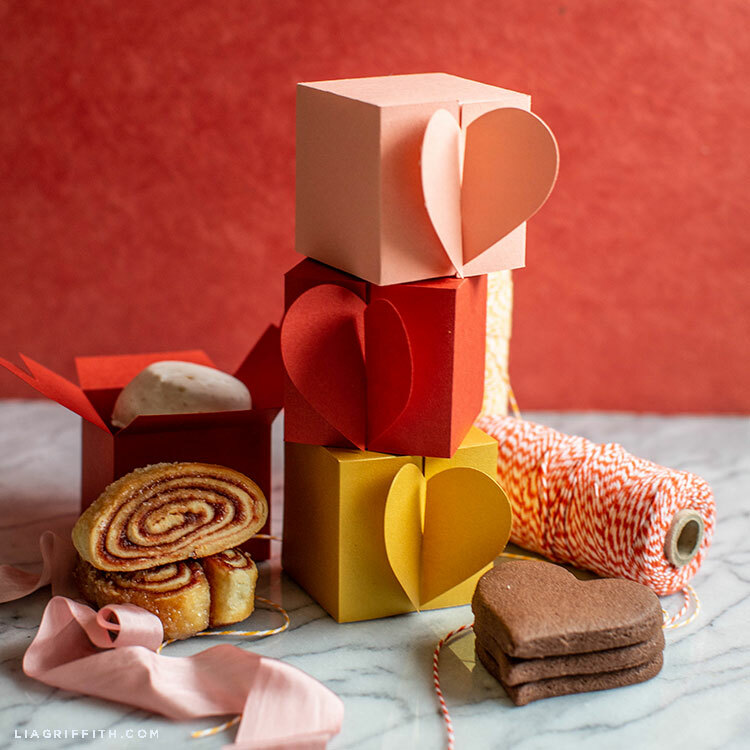 This paper heart treat box is super simple to craft. 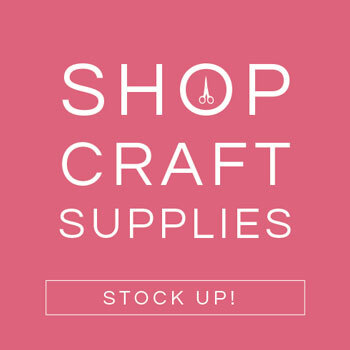 All you need is some paper, an adhesive dot roller, and a pair of scissors or a cutting machine. We’ve included both the PDF pattern and SVG file below so you can choose how to cut this project. 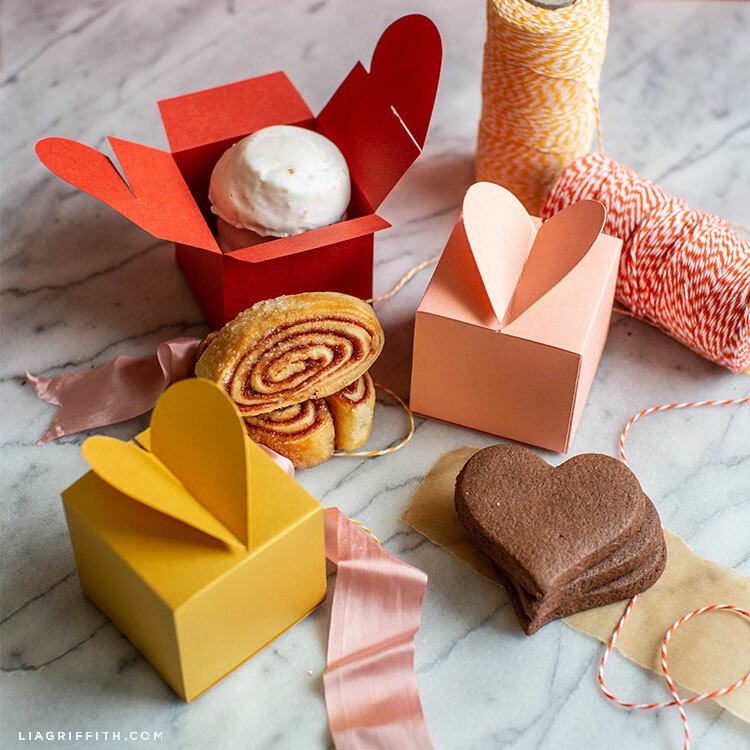 We went with a lighter coral and a darker coral for our paper heart treat boxes. And of course we had to make some gold ones, too. You can find the specific colors we used for this project linked below. If your Valentine’s Day gift is a little bigger in size, we also just created this pretty terrazzo wrapping paper. Also, if you need a card, we’ve got you covered with DIY card ideas for Valentine’s Day. Our geometric heart cards are a new design. Or we also have these printable watercolor cards. For more DIY inspiration, join us on Instagram, Facebook, and Pinterest. 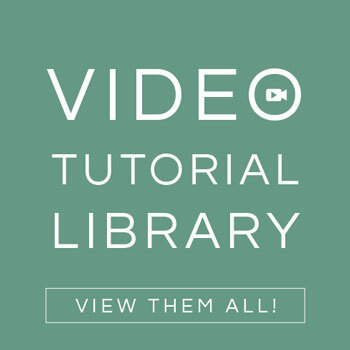 We also have video tutorials to help you make a variety of projects. 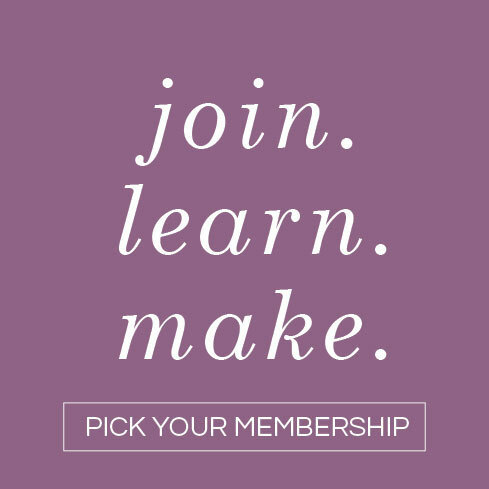 To start crafting with us and learn new DIY skills, sign up for your very own Lia Griffith membership today! Questions? Feedback? We want to hear from you! Reach out anytime. And show us what LG projects you’re crafting by using the hashtag #MadeWithLia. I’m still learning how to get a good fold. I have the cricut scoring tool that fits into the cricut machine (in place of the cutter) but it doesn’t look like this file came with scoring lines. What would be a good way to get nice folds on this beautiful heart box? It’s working on my end– what problem are you having?